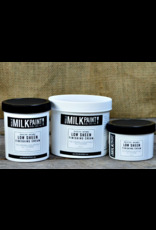 Finishing Creams (formerly called Burnishing Pastes) by The Real Milk Paint Company are easy to apply thick or thin. You can also add more of any of the Finishing Creams years down the road if the finish wears away with use. Low Sheen Finishing Cream, Dead Flat Finishing Cream, and Gloss Finishing Cream are No Odor Non VOC’s water base top coats that have non-existent to minimal gloss appearance. 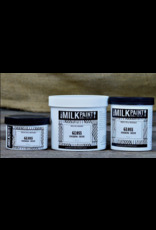 Low-Sheen Finishing Cream will impart a slight luster to a surface, while Dead Flat Finishing Cream is completely matte. It can be applied with a rag, brush, damp sponge, or spatula. Our preferred method is cross-hatch application with a brush on walls. Finishing Creams will dry to a clear finish whereas Finishing Glazes will produce a tint. 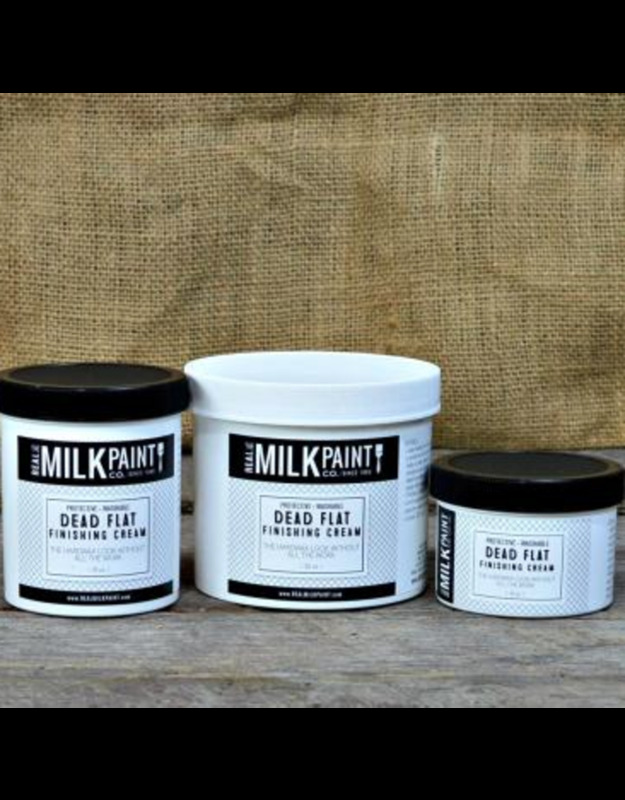 Applied over our non-toxic paint or used to protect wood finishes, Finishing Creams are versatile and strong. 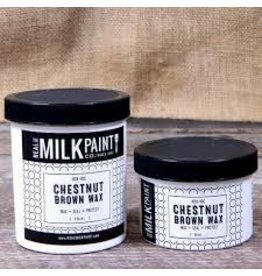 Finishing Creams can be used on new or old surfaces, and they are an excellent top coat for Real Milk Paint on cabinets or walls and trim, especially in kitchens and bathrooms. High-traffic areas such as these can really use the extra protection to make wall paint or stained wood last a long time. 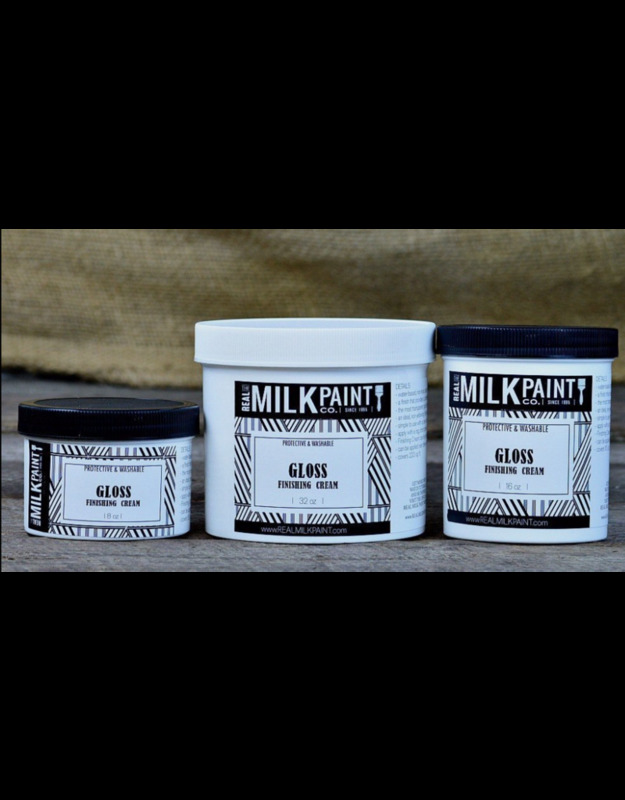 These Finishing Creams will still slightly wet the pigment in the paint to make it a shade darker and can take 30 to 60 minutes to fully dry, depending on the thickness of the application. 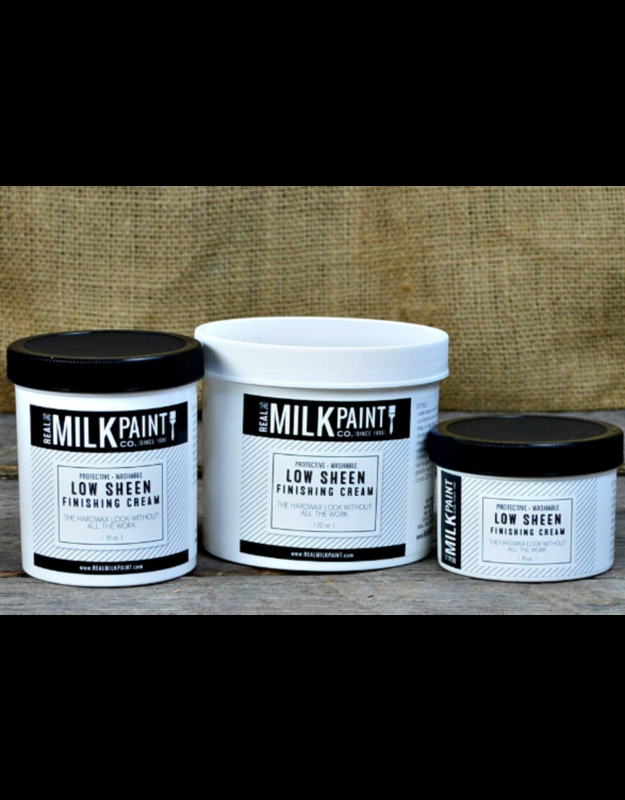 Real Milk Paint can be painted directly over Finishing Creams. 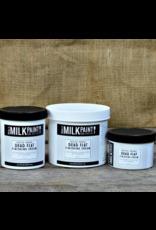 These can be used between layers of Real Milk Paint as a barrier coat, to help make creating a distressed look easier. 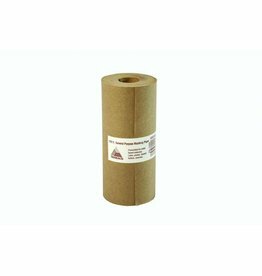 A surface sealed with Finishing Cream or Finishing Glaze will be washable after 24 hours.